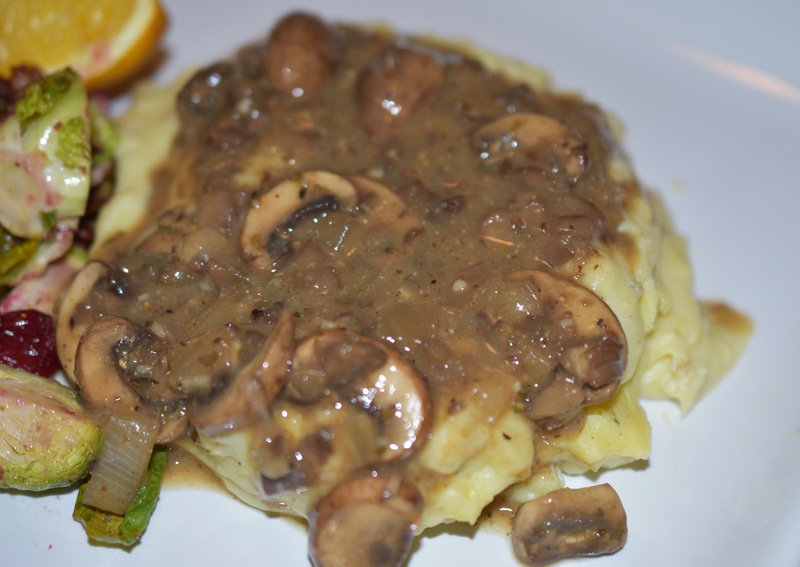 I have made mushroom gravy before, but I tweaked it and I can honestly say this is the Best Mushroom Gravy. It has a secret ingredient that makes the mushrooms pop in flavor. Note: Remove the stems of the mushrooms and mince. Slice the caps. Those will be added in another step. In a large skillet sauté onion, minced mushrooms stems and All-Purpose Seasoning . Cook over medium heat until the onions are translucent. Add garlic to skillet and cook the garlic until it is fragrant. Deglaze the pan with vegetable stock as needed. Note: The porcini powder is made by grinding dried porcini mushrooms into a powder. Mix together 1 c of vegetable broth with cornstarch and porcini mushroom powder to make a slurry. Set aside. Add the remaining vegetable broth and miso paste to the mushrooms in the skillet. Bring to a simmer. Turn heat off and add slurry. Stir gravy until has thickened. This looks delicious! What type of miso do you use? I used Mellow White Miso. Thanks for stopping by. what can you use if you don’t have porcini mushroom powder? Thanks for stopping by Robin. You could make it without, however, its richness and mushroom flavor may be a little less. Let me know how it turns out.